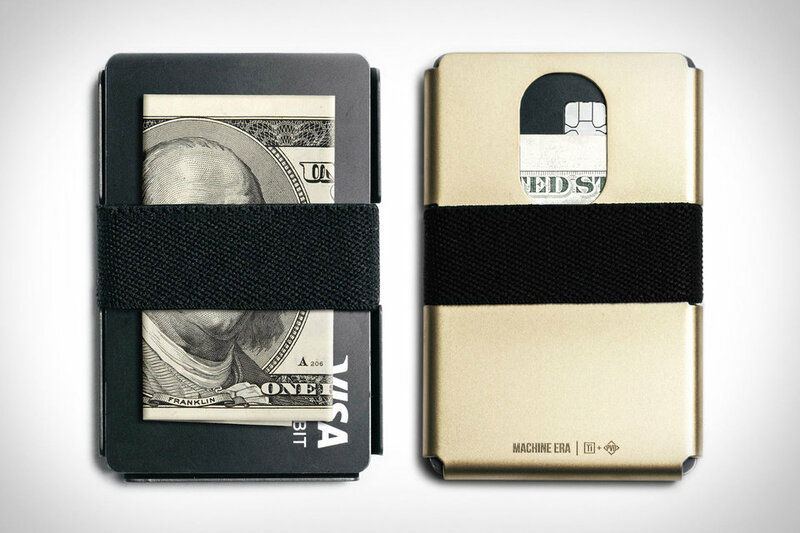 The Machine Era Titanium wallet is possibly the slimmest, lightest wallet they have ever made. It is made of aerospace grade lightweight titanium that has a coating of either black DLC or gold PVD, depending on your color preference. It fits easily into your front pocket and cards and cash are held in place with an elastic band. At one time, the wallet can hold up to seven credit cards. In order to keep the data in the chips of your credit cards safe, it has RFID-blocking. There is a small opening in the back of the wallet for easy access to items.